An instrumental figure at the Utah Shakespeare Festival, Anne Ashcroft Judd served the Cedar City community happily and willingly more than over forty years. 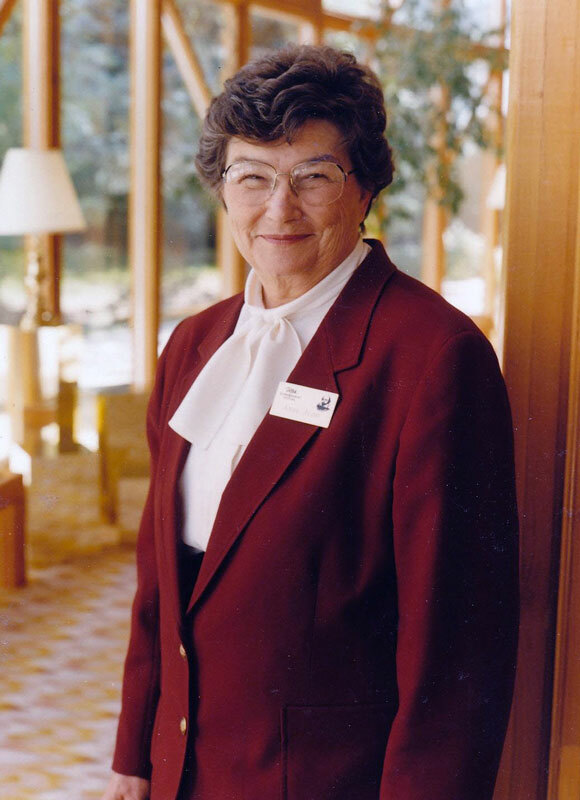 Now, her work has been recognized with her induction to the Southern Utah University Hall of Honor. The Hall of Honor contains portraits of select individuals who have had a profound influence on Southern Utah’s history and can be found in the Great Hall of the Hunter Conference Center. Judd is President Wyatt’s first addition to the Hall of Honor. Eric Brown, a professor of art at SUU, and Judd’s son-in-law was commissioned to paint the portrait. Brown relied on his personal observances of Judd to guide this portrait. “She strenuously resisted becoming less productive as she grew older. She never ‘retired’ in that sense. She kept serving in every capacity that she could until the very end. If she observed someone having difficulty she would do her best to ameliorate the situation. Those are things that occurred to me as I worked on her portrait -- things from her life that I would like to internalize,” he said. Upon her marriage to Harl Judd, himself a renowned figure in SUU history, Anne began service to her community and college while raising her six children. She served her city and its people without fail for years and her selfless service has made a lasting impression in the hearts of all who interacted with her. Her portrait joined the Hall of Honor on March 20 as a part of SUU’s Founder’s Week celebrations. Though she passed in 2016, her image will stand as a reminder of her spirit of kindness and giving that has impacted the lives of hundreds, if not thousands, of individuals throughout Cedar City and across the state of Utah. Judd’s selfless legacy begins at the Utah Shakespeare Festival, where she personally undertook the responsibility of coordinating hundreds of Festival volunteers for nearly thirty years. This included countless hours spent managing the volunteers' schedules, jobs, and organizing assignments in order to help the festival as seamlessly as possible. All the while, Judd refused any sort of salary for her work. 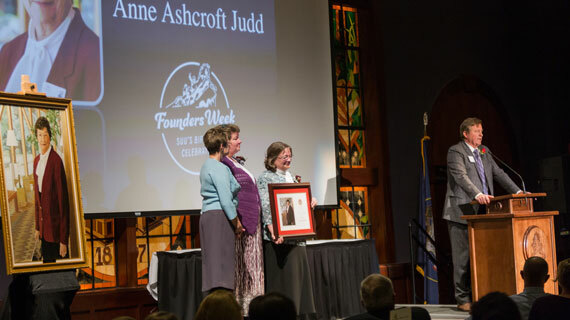 In addition to her work for the Festival, Judd served as a member of SUU’s Board of Trustees, led the development board and the alumni council and was always ready and willing to assist whoever was in need of help. Judd’s contributions stretch far beyond the walls of Southern Utah University. She was the recipient of several volunteer of the year awards, including an award given by the governor of Utah. She diligently offered her time and attention to the community, serving for the Cedar City Music Arts Association, Cedar City’s Coordinating Council and Master Plan Committee, as well as the Recreation, Arts, and Parks Tax board.